Fryderyk Chopin visited Turzno in 1825 and 1827. Before going to Turzno for the first time, he wrote in a letter to his parents: “Tomorrow morning we are going to Turzno and will be back as late as on Wednesday ..“. Since 1730 Turzno had been in the possession of the Zboiński family, relatives of the Zbioński family from Kikół and since 1879 the property was owned by the Jeżewski family, who, in 1801, gave the village as a dowry to the Działowski family. There the Działowski family erected a Classical style palace designed by Henryk Marconi. In their old manor house visited by Fryderyk Chopin and in its new seat, the family used to keep its collection of works of art, well equipped library and probably a keyboard instrument. 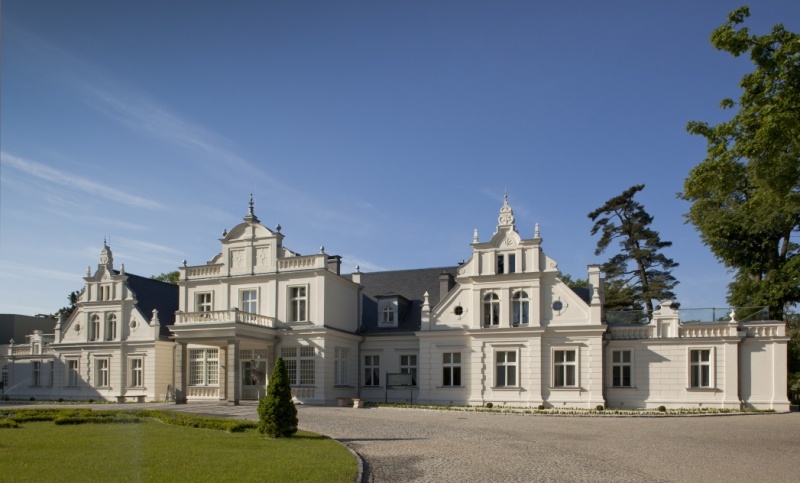 In 1899 Turzno was passed over as a dowry to the Gajewski family, which, in 1926, erected a new storied wing in the site of the former manor house of the Zboiński family.